Will Rebein posted a video, entitled "Kylie," to Vimeo that he compiled after reading news articles about Kylie and her sister Kendall in Australia. Rebein decided to take the hate constantly directed at the youngest Jenner and make it literal, so the public could see and hopefully realize just how painful their words can be. The video reverses one of Jenner's makeup tutorials, so instead of seeing her get her makeup done, it starts with her all made up and gradually progresses to having it taken off, ending with her barefaced. Hateful comments are read aloud throughout the video, so Kylie is stripped of her cosmetics as well as her self-esteem and identity. And by the end, she is left so exposed and vulnerable, that your heart will absolutely be broken. 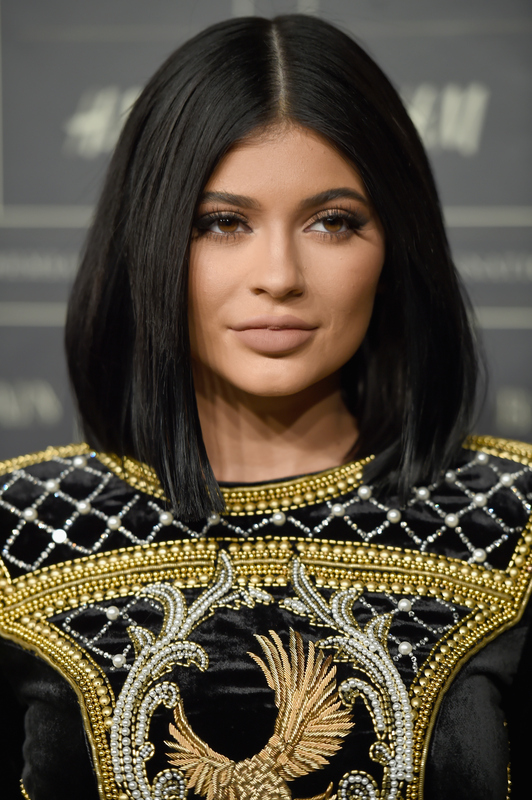 Some of the comments compare Kylie (inferiorly) to her famous sisters, attack her alleged cosmetic enhancements, and even go so far as to call her narcissistic and a monster. Words are easy to dish out. It takes a second to make a negative statement, but it can take months, years, or even a lifetime to repair the damage they can cause. No matter how high her fame has sky-rocketed, Kylie is still a human, a human with feelings and emotions, and no level of financial security or fame makes a person immune to hate. It can be difficult to humanize celebrities. We see them all done up and living glamorous lives, but this video puts into perspective that Kylie Jenner is in fact an 18-year-old girl with her own insecurities. There's no reason to pit her against her sisters, her family — she's unique, and she should be viewed as her own person, not in comparison to anyone else. Further, whatever she has or has not chosen to do to her body is her decision alone and is not for us to pass judgment on. Just because we don't live our lives under the microscope of fame, doesn't give us a free pass or a sense of security to attack those who do. If any video should go viral, it needs to be this one. It's time the hate stops; there's enough of it in this world without us adding to it.